Established in 2010, Tops Scaffold & Shoring Supply manufactures scaffolding products that have many applications in the construction and civil engineering sectors. Our products are manufactured to exacting industry standards and are among the safest on the market! We serve clients in Ontario, Quebec and Alberta. Tops Scaffold & Shoring Supply is an industry leading innovator of scaffolding products that offer superior performance, efficiency and safety. Our products are manufactured to the highest and most up-to-date industry specifications. This makes our scaffolding solutions some of the safest and most reliable on the market. No matter how complex your project may be, choose our products with confidence! They have been engineered to withstand the most punishing use in different environmental conditions. Drawing on 4 decades of industry experience, Tops Scaffold & Shoring Supply is committed to manufacturing effective, safe and profitable products for both day-to-day uses and for difficult applications. No matter where your project is located, contact our team for professional assistance. 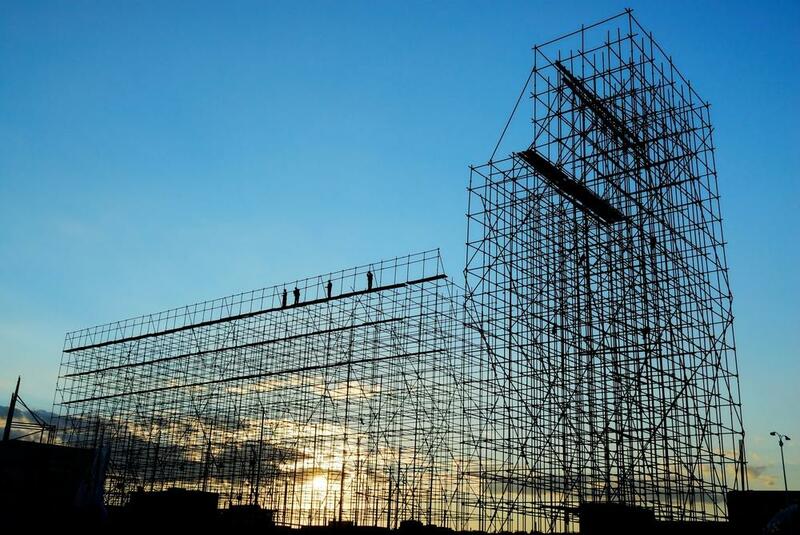 We can develop customized solutions and manufacture special scaffolding supplies to accomplish even the most difficult task! Our priority is always worker safety. Contact us for scaffolding products and expert solutions tailored to your needs!